Northern Uganda is the worst place on earth to be a child today, says a former United Nations Under-Secretary General for Children in Armed Conflicts. According to Oxfam, the rate of violent death in northern Uganda is three times worse than Iraq’s. In the January 2006 edition of Vanity Fair, in a piece titled “Childhood’s End,” Christopher Hitchens proclaims to expose the cynical politics behind one of Africa’s greatest nightmares: the twenty-year war in northern Uganda. For those of us dedicated to bringing the humanitarian catastrophe in northern Uganda to the attention of the international community, any exposure of the conflict by a high-profile journalist such as Hitchens is welcome. But Hitchens’s account of the two-decade-long war is dangerously misleading. While Hitchens correctly presents the many atrocities committed by the murderous rebel Lord’s Resistance Army (LRA), led by the illiterate self-proclaimed prophet Joseph Kony, he neglects to address the role of President Yoweri Museveni and the Ugandan armed forces in perpetuating this ruinous war. This is a crucial omission. First, in fighting the LRA, Museveni’s army has recruited and used child soldiers in violation of international laws. Government soldiers stand accused of various human rights abuses: widespread rapes, the killings of innocent civilians, the spreading of HIV/AIDS, and scorched-earth tactics, all of which have been well-documented by reputable international human rights organizations. Yet on these issues Hitchens is silent. Second, Hitchens erroneously claims that, having “sought protection” from the LRA rebels, the approximately 1.5 million people who live in the squalid IDP camps of northern Uganda do so of their own volition. Not so. 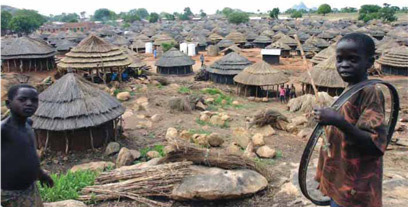 For the past ten years, residents of northern Uganda have been forcibly evicted by the government from their homes and herded into deplorable “displacement” camps. These are the so-called “protected villages” to which Mr. Hitchens refers. Not only have these “protected villages” failed to provide security for those displaced by the conflict — almost 10 percent of Uganda’s population — but the conditions in these camps are so horrific that they have been referred to as “death camps” or “concentration camps.” Due to rampant government corruption, humanitarian assistance earmarked for victims of the war is often stolen or misused. Neither the rebels nor the government appear to want the war to end. Once again, Hitchens brushes away these inconvenient facts. Is Hitchens to blame for these fatal oversights? In a sense, no. The veracity of his reporting is yet another casualty of the story-mill that the Ugandan government has carefully managed in order to retain the favor of Western opinion. Before Western journalists are allowed to travel to northern Uganda, they must report to Ugandan government authorities in Kampala. Escorts from the Ugandan government then guide journalists to the appropriate sites. Hitchens is a diligent student regurgitating the scripted narrative concocted by the Ugandan government. The official line from the Ugandan government — and it is the line obediently recited around the world — is that the killing fields of northern Uganda are strictly the result of the rebel activities by the small, rag-tagged, ill-trained Lord’s Resistance Army. The Ugandan government perpetuates the war, uses the rebels as an excuse to mobilize international support and military supplies, and has failed to defeat the LRA or provide for its people in any way — yet it continues to present itself to the world as an innocent bystander. Hitchens is a victim of this sophisticated and elaborate hoax. Hitchens is absolutely right to bring our attention to the unimaginable atrocities and human suffering the Lord’s Resistance Army has inflicted on tens of thousands of innocent civilians, most of whom are children. But the humanitarian catastrophe in northern Uganda is far more than the story of the LRA. It is about the systematic policy by the Uganda government to profiteer from the war and to use the war as pretext to punish the population of northern Uganda, especially the Acholi people. It is about the failure of the international humanitarian community to raise a global alarm about the unspeakable suffering. And it is ultimately about the failure of the United Nations and the western powers, and especially the United States, to hold the government of Uganda accountable. Hitchens’s Vanity Fair editorial — an “African nightmare” set among “bronze Nubian Nephertiti” beauties and crazed self-professed prophets — reeks of a colonial romanticism almost akin to the racism found in Joseph Conrad’s Heart of Darkness. Contrary to what Hitchens’s might have us believe, the tragedy unfolding in Uganda is not some fantastical, antediluvian myth set in his self-concocted “Dark Continent.” According to former United Nations Under Secretary General, Olara Otunnu, this is a methodical and comprehensive genocide, conceived and being carried out by the government. An entire society is being systematically destroyed — physically, culturally, socially and economically. This is being done in full view of the international community. The government of Uganda and international donors should be held accountable. This is a preventable catastrophe unfolding in real-time and on our watch. uNight calls upon the United States Congress to convene a full-scale congressional hearing on northern Uganda and appoint a US-led peace envoy to be sent to the region. Daniella L. Boston is co-founder and executive director of uNight: for the Children of Uganda, a New York-based not-for-profit organization dedicated to building an effective grassroots constituency in the United States to help end the 20-year civil war and the humanitarian catastrophe in northern Uganda. uNight sponsors and supports innovative projects to help reclaim and rehabilitate the lives of thousands of children and youth affected by the war. The civil war in Uganda has claimed thousands of lives, affected millions of children and youth, and forced over 1.8 million people into squalid makeshift camps where over 1,000 people die each week. It is one of the worse humanitarian catastrophes in the world. The rate of violent death in northern Uganda is three times Iraq’s, and the level of suffering and dislocation surpasses that of Darfur in the Sudan. In partnership with the Ugandan community in the US, uNight has mobilized grassroots support through film screenings, panel discussions, community events, and public demonstrations and marches. In October 2005, uNight organized a highly successful public march in New York as part of GuluWalk, a global campaign that was carried out simultaneously to raise awareness about the humanitarian crisis in northern Uganda. uNight has also launched chapters at schools and universities nationwide to galvanize support for the children and youth of northern Uganda. For two decades, the international community has ignored the genocide in northern Uganda. uNight is determined to mobilize an constituency of people, especially in the US and UK, who will fight for the human rights of the victims of Uganda’s civil war, especially the children of northern Uganda, the most “invisible” victims of this senseless war. They are using EUGENICS even today: Nodding Disease, Ebola, HIV etc all new diseases previously unknown. They have decided to VACCINATE/poison the children for european type diseases. 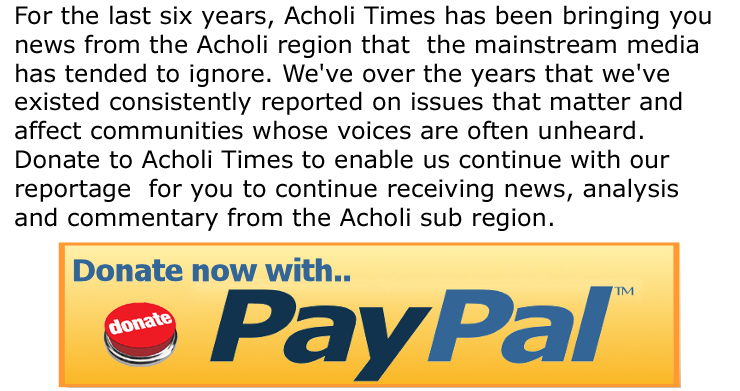 OIL Exploration in the Acholi stolen land in the Game Park(yet it forbidden to explore in such environment in the West), Minerals and fertile virgin land in Acoliland is driving the decimation of the Acholi people. Churchill used the phrase “the Pearl of Africa” on seeing the teeming wild life in Achililand area now called after a British geologist Roderick Murchison (who died before the British came to Acholiland) – yet the Acholi co-existed with these gamelife for millennia. The first land theft/genocide/forced depopulation occurred as a result of “Between 1907 and 1912, the inhabitants of an area of about 13,000 square kilometres (5,000 sq mi) were evacuated due to sleeping sickness spread by tse-tse flies. In 1910, the Bunyoro Game Reserve was created south of the River Nile. In 1928, the boundaries were extended north of the river into the modern-day Nwoya District”. In 1952 (pre-independence), the British administration established the National Parks Act of Uganda. The area described above became Murchison Falls National Park. Remember up to 52 Oil Seepages was discovered in the area as early as 1925. Later genocides occurred through Amin Regime sponsored and first recognized by Britain and Israel, before Amin went rogue. The British backed NRA guerilla war led to 20 years genocide in the North. New diseases Ebola, HIV, Nodding Disease were and are introduced. Now Vaccinating left right and centre with suspicious viles. They want Acholiland at Appa for a British South African Game Farmer, Acholiland for sugar cultivation by an Indian yet Acholi cannot co-exist with foreigner especially Indians (too culturally incompatible). The Eugenics is being extended to South Sudan and only the beginning. When massive land expropriation for exploration and production and oil pipelines begin and when uncontrolled dumping of oil waste in the river nile, of noxious gasses into the atmosphere begins (big game – especially elephants – are fleeing the game park and damaging crops of subsistence farmers leading to famine), oil spills etc – nre genocide.